I have completed a PhD in Computer Science at the Science and Technology Research Institute of the University of Hertfordshire. Although funded by the Adaptive Systems Research Group I have strong connections to the Biocomputation Group as well. My principal supervisor was Chrystopher Nehaniv and my research focusses on the Evolvability of Developmental Gene Regulatory Networks, however generally I am interested in constructive / systems biology, evolutionary computation, complex dynamic systems and self-organization as well as control theory and machine learning. On the one hand, abstracting key principles from biology will probably have a huge impact on engineering I believed in this from the day I learned that the hook and loop fastener was inspired by burdocks. The most likely short term applications are in nervous system growth and adaptation. On the other hand the constructive implementation of models from biological theories might pinpoint gaps in our understanding (which might be especially true for evolution, as it is mostly indirectly observable). Furthermore from the observed behavior in an ideal model also predictions can be generated which then might be tested empirically (which is quite hard for evolution, see above). Dynamics of the same network (evolved to display two behaviours), on its way to a periodic attractor depending on inducer signal switch. The subject area of my PhD research is Developmental Gene Regulatory Networks (DGRNs). GRNs play a key role in controling biological cells and thereby the morphogenesis as well as the lifetime metabolismic control of all multicellular organisms. As they are so successful in nature we try to model their crucial mechanisms. Basically these are a regulatory logic that allows complex dynamics and developmental/multicellularity aspects as cell differentiation. But having a model able to achieve the above listed properties we still won't be happy; DGRNs are much to complex to design by hand, so Evolutionary Algorithms are used to get the DGRN to behave in a way we like. This inevitably raises the issue of evolvability, as a system being able to show a certain behavior by no means implies that artificial evolution will be able to find such a favorable system configuration. By carefully examining the evolutionary dynamics and adjusting the algorithm one should be able to increase the probability of finding favorable configurations. Changes to the representation of the system configuration, the process of offspring generation and the environment over evolutionary time might prove useful. An introductory overview is provided in the slides of our ICSB tutorial Genetic Algorithms and their Application to the Artificial Evolution of Genetic Regulatory Networks. And as a picture often is better than a thousand words, check the videos and interactive Java applet from my ALife XI paper below! 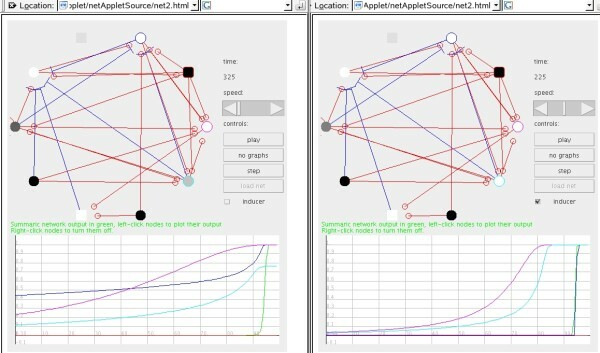 In the applet you can replay development (choose between cell color or concentration of a morphogen). By clicking a cell you can inspect and plot its parameters over time (drop-down in the lower right corner of the applet). Reddit user account verification poloniex PauliWorli summarizes most legacy customer's complaints by saying: â€œI am a â€˜legacyâ€™ user account verification poloniex on Poloniex and I was told to verify today when I logged in. List of publications is here. Some of them are indexed on Google Scholar if you want to look up citations. Conference presentations and other talks are listed in the meetings section of my general CV. My showcase event poster was specially designed to be a generally understandable introduction to the work done during the first half of my PhD, a slightly more technical but still very compact description can be found in my ICSB 2007 extended abstract. For the time being I only give a list of sub-projects here with links to the corresponding web pages, see there for research details.